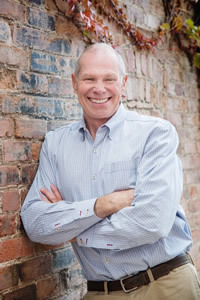 Steve Hillard grew up in Bossier City, Louisiana and Grand Junction, Colorado. He graduated from Colorado State University and later earned a degree in philosophy at Columbia University and a Juris Doctorate from the University of Colorado. Before settling into his current career as a private equity entrepreneur, Hillard was a teacher at Rikers Island Prison, a welder, a carpenter, and a practicing lawyer. He is the founder and head of Council Tree Communications, a private equity fund involved in the entertainment and telecom industries. He resides with his wife, Sharmaine, in Grand Junction, Colorado. Publication of his first book in 2011, Mirkwood: A Novel About JRR Tolkien, started in controversy. The Tolkien Estate sought to ban the book, to which the author responded with a lawsuit in federal court. The dispute received international attention, with articles in the London Guardian, The Hollywood Reporter, and The Christian Science Monitor. The case quickly settled and the book went on to become an Amazon Fantasy Best Seller, recipient of a national IPPY Award, and was published world-wide in Spanish by an imprint of Planeta. An epic spin-out of the book's main fantasy character, Ara, is the subject of an eight-volume series co-authored with Joel Eisenberg. The first volume, Creation: The Chronicles of Ara, was released by Topos books of Incorgnito Publishing in 2015. A companion series, The Lost Chronicles of Ara, is written by the same duo and is slated for release starting in 2015. These series are now under development as a TV series by The Ovation Network. Mr. Hillard's other writing projects include a forthcoming thriller about JFK. For more information, view Stephen Hillard's Web site.